The Neumann-Goretti girls captured the national title in the 4x800-meter relay, dropping the second fastest time in state history to take the win at New Balance Nationals Outdoor in Greensboro, North Carolina. The quartet of Sydni Townsend, Mykala Perry, Dasia Wilson, and Kami Joi Hickson led for a majority of the race and ran a time of 8:53.19 for a convincing win, over five seconds faster than second place Gahanna Lincoln (OH). Neumann-Goretti also retakes the US#1 spot, which it had after its 8:57 from the Penn Relays. Only Central Bucks South has run faster than Neumann-Goretti's Saturday performance; the Titans ran 8:51.49 in 2014. This caps off a dream season for the PIAA Class AA state champion Saints. Treyvon Ferguson missed districts and states, but the Milton Hershey graduate made his presence felt at nationals in a big way. The Kansas recruit placed second in the Championship boys' triple jump, leaping 50-09.5. It was his second 50-plus jump of the series. 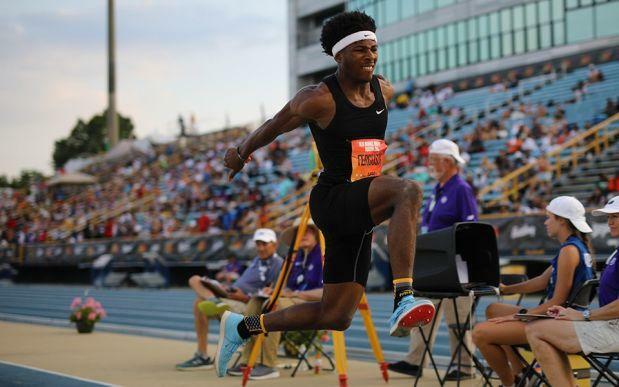 Ferguson becomes the first boy since 2012 to jump past 50 feet and that marks the best leap by a PA boy since Carlton Lavong (Methacton) jumped 51-00 in 2010. Payden Montana started her weekend off well. 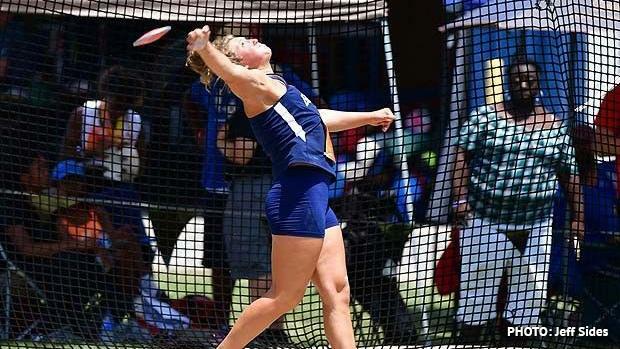 The Berwick senior threw 163-08 to take third and earn All-American honors in the Championship girls' discus. That's just off her PR, set earlier in the spring at 164-11. Montana returns on Sunday to the Championship girls' shot put, where she's US#1. Hempfield Area's Mackenna Orie placed eighth with a throw of 141-09, a PR. Manheim Township's Mackenzie Horn closed out her career on a high note, placing third in the Championship girls' pole vault. Horn cleared 13-02.25. The AAA state champion and outdoor state record holder ends her career as one of the great pole vaulters the state has ever seen. Pittston Area's Abby Norwillo laced seventh and Hempfield's Carena Nottoli was ninth. Both Norwillo and Nottoli jumped 12-06.25. In the Championship boys' javelin throw, a pair of PA boys made the finals, coming away with strong performances. Hopewell's Noah Drudy threw 198-11 to place seventh, while Danville Area's Jared Mowery takes eighth with a throw of 198-08. 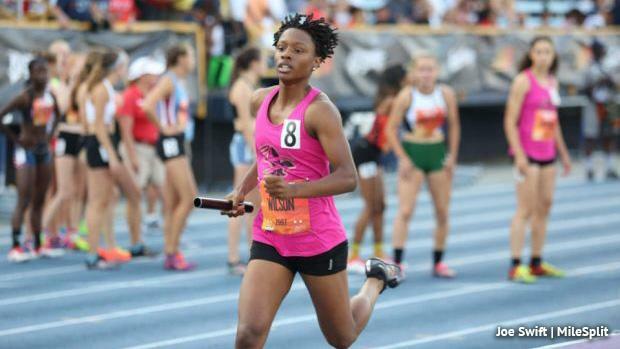 On Friday, during the first day of competition at NBNO, PA turned in some strong performances. In the javelin, PA went 5-6 in a strong performance. South Park's Maura Huwalt threw 131-03 for fifth, while Moniteau's Cambrie Campbell was sixth with a throw of 130-06. Both earn All-American honors. In the 5,000 meters, Chambersburg's Abby Yourkavitch closed out an impressive career with a tenth place finish. Yourkavitch, bound for East Carolina in the fall, ran 17:20.78, an all-conditions PR. Germantown Academy's Isabelle Goldstein finished up a strong sophomore season by winning the EE girls' mile in a time of 4:56.29, a PR for the distance.